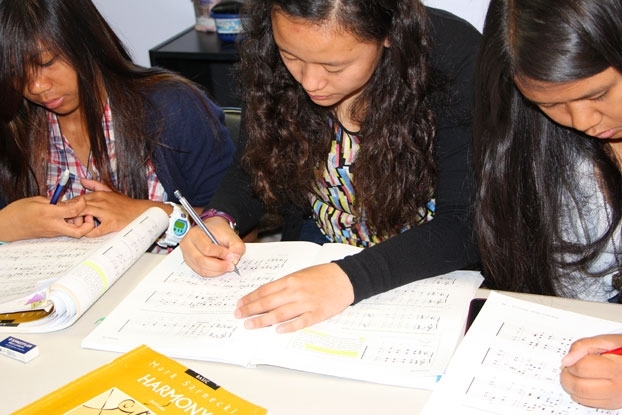 Music theory is the study of how music works. It examines the language and notation of music. It seeks to identify patterns and structures in composers’ techniques, across or within genres, styles, or historical periods. Music theory helps to not only better understand music, but allows for the communication of musical ideas, and the exploration of music in ways that non theory students have never experienced before. It allows students to be literate, to expand their musical horizons, and provides the vocabulary and methods for doing so. 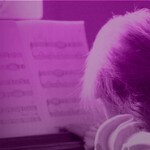 Musical theory is a co-requisite for the completion of all music examinations in Canada, beginning at the Grade 5 practical level. In order to complete all necessary theory requirements in sufficient time, we encourage all students studying at the Grade 3 level to commence theory lessons. Theory programs at the CMA are course based and runs from October to May with students writing examinations during the Royal Conservatory Spring session. Our specialized theory programs help students to understand theoretical concepts and materials in a way that allows them to strive for excellence. Teachers track all students’ progress to ensure that they are always on top of the material. All students are given the individual attention they need, regardless of the group set up.